"5 Star Dealership, hands done"
When I was involved in a accident 2 weeks ago, Cam Clark Ford Red Deer was by far the first choice to go to on many fronts. I have dealt with the staff here on different occasions and knew this is where I needed to go. First was having my truck towed to Speedy Collision (the body shop) located at the dealership. Jeff and Crystal were so accommodating for letting me retrieve some of my belongings and keeping me informed on what was going on. In the end my 2012 Titan Pro 4x was a write-off and now I had to get something done fast as far as vehicle because my insurance rental was up in two days after the settlement. This is where the awesome staff at the dealership came into play. Working with Jeff, Bryce, Dan, Adam and the whole crew in sales took care of everything! 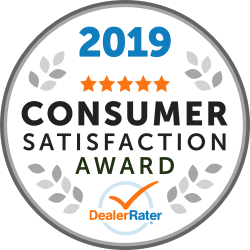 They made the experience of looking for a new vehicle hassle free and convenient...which is much appreciated during this stressful time. They listened to what I wanted and found the exact truck that met my needs! Now I'm driving a sweet 2018 F-150 XLT Sport! Next was the financing and thank you to Sarah for essentially making the process convenient and easy from the start. I even managed to get an amazing rate that no one could even touch at other institutions!! Thank you Sarah! In the end, I managed to get through a bad experience with the help of Cam Clark Ford Red Deer and came out feeling way better about the situation. Hands down this has been the best experience I have ever experienced at a dealership. Keep up the good work!! *TIP - Something that I will need to let my insurance company know next time is that there is a Enterprise Rental desk at the dealership as well! Last February, my wife and I leased a new 2018 Ford Escape Titanium,everything went perfectly and we were 100% satisfied with the entire process,especially our Sales Consultant Clayton Masur. I was in the industry in the late 80’s to the mid 90’s, I actually was working @ Koch Lincoln Mercury in Edmonton,Alberta when Red Carpet Leasing switched over to the Plan Leasing Program so I understand the mechanics of how it benefits the buyer. Our lease on our 2018 Ford Escape Titanium was written up for 24months with 25,000kms a year to get us the monthly lease payment of $500.00 we were budgeted for. Clayton Masur left Cam Clark to be closer to his residence in Lacombe, he’s now a Sales Consultant @ Lacombe Ford,however his replacement @ Cam Clark Bryce ; I don’t have a last name called to introduce himself and inform us he was given our file and if we needed anything to please call. Well it turns out, my wife Dianna and I were thinking of trying to reduce our monthly lease payment by using the equity and any available incentives to upgrade our 2018 Ford Escape Titanium to the 2019 model and increase our 24month lease to a 36month lease. I gave the Cam Clark Ford Sales Consultant Bryce Parent an opportunity to earn my business to see if he could get us a monthly lease payment of around $480 or $485.00 a month. He went to work, and after only 20minutes on the phone came back and told me the Sales Manager Adam applied a $750.00 New Years Incentive and apparently some kind of a repeat buyer $750.00 incentive. Bryce didn’t even take into consideration the equity in our 2018 Ford Escape Titanium as a trade in. Our SUV only had approximately 13467.7 kms on the clock and it looks like the day it rolled of the lot because it’s stored in a heated Garage and it’s kept clean and the maintenance schedule is followed to the letter,but still Bryce came back with a payment of $563.00 over 36months which was going in the wrong direction. I thanked him for his effort, hung up the phone and contacted Clayton Masur @ Lacombe Ford with the same request. Clayton was pleased to get the opportunity and repeat client. It took Clayton about an hour to work out a deal on a 2019 Ford Escape Titanium with $1,500.00 more technology using our 2018 Escape Titanium as a trade in,and by giving us the top dollar for our trade in and reducing our yearly kilometres to 16000.00 from 25000.00 Clayton presented his deal to us @ $491.00 a month and the first payment. We accepted the deal, however for Clayton to provide us with our exterior color he had to bring our Vehicle in through a Dealer Transfer. My wife and I were very happy to be taking delivery of our new 2019 Ford Escape Titanium tomorrow afternoon, as we have waited over a week or so. This afternoon, I received a call from Adam Glover the manager @ Cam Clark Ford to see if he could do anything for us, I informed him, that we had actually been able to put a deal that suited our budget together with Clayton Masur @ Lacombe Ford. When I informed that we had taken our business elsewhere because we got the deal that best suited us, he asked me if he could make us a better deal because he’s not used to being beaten on price would we consider it? I replied no, as we were getting ready to take delivery of our new SUV,he became indignant with me and tried to shame me for dealing elsewhere,telling me he didn’t appreciate me taking my business to our former Sales Consultant! I told him it was the nature of the business,and his Sales Consultant and himself hadn’t worked hard enough to earn our business. After this he asked if he could earn my business on a future sale (I lied and told him sure,so he’d go away feeling like he had a win). It was about 25 to 30 minutes later that I received a call from Clayton informing me, he had some bad news,I asked him what was wrong, Clayton informed me that he couldn’t make the deal because the buyout on our 2018 Escape Titanium was higher and also that Cam Clark was withholding the buyout document. Not only am I disappointed @ the realization that my wife won’t be getting the new Escape Titanium SUV,but I am absolutely in disbelief and filled with digust that the Cam Clark Ford Sales Manager Adam,would call me and do what he did. As a result, because I conduct my myself by the 200 rule of business in everything that I do,Cam Clark Ford is going to lose not only my wife’s and my business @ the end of our lease, but at least 200 of those in my circle of influence. The 200 rule, a person will meet at least 200 people in their lifetime who they will talk negatively or positively about a Company,Product,Person or Experience. I’m inclined to believe it will be alot higher, as I used to be a Motorsport Photojournalist whose column was read by 25,000 readers throughout North America, and as a result I still have close to 4K friends on FB and 455 on Instagram. 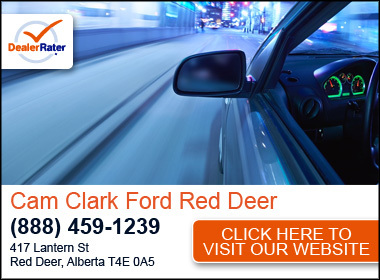 Map and Directions to Cam Clark Ford Sales Ltd.